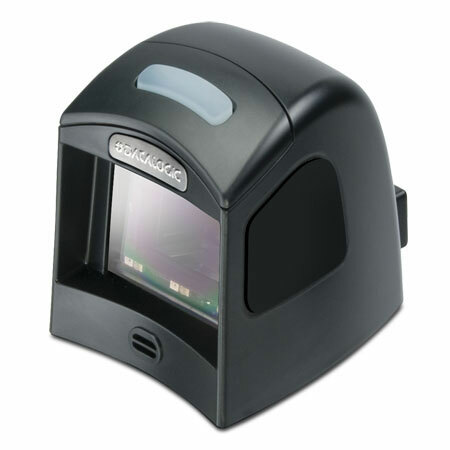 The Datalogic Magellan 1100i omnidirectional presentation scanner is a high performing and versatile data collection tool for a variety of applications. The Magellan 1100i uses Datalogic's latest digital imaging technology to provide intuitive and fast reading performance on 1D and 2D barcodes as well as supporting advanced features like image capture and EAS tag deactivation. A revolutionary External Read Indicator (ERI) allows the Magellan 1100i reader to integrate with other third party RFID or EAS systems for a truly "future-proof" solution. The Datalogic MG110010101103 is also known as Data Logic	DTL-MG110010101103	.